Home › Blog › The Best of 3 And Out…So Far…. The Best of 3 And Out…So Far…. With Bob Sansevere out of town through Tuesday, and me on vacation Wednesday through Friday, there will not be a new episode of 3 And Out this week. We will, however be back next week with another interesting episode. July 12, 2017: Bob I and talked with former Vikings tight end John Beasley about getting rich with his investment in a gold mine. June 14, 2017: Stu Voigt – also a former Vikings tight end (and of the 50 Greatest Vikings) joined us to talk candidly about the lessons learned after a six-month stretch in prison. June 7, 2017: My former colleague Lee Hutton joined us to talk about the football scandal at Baylor University. May 24, 2017: my favorite college basketball coach from my alma mater, the University of St. Thomas, John Tauer, joined us to discuss whether college athletes should be paid. June 28, 2017: Bob and I discussed whether Minnesota’s high taxes are keeping Minnesota’s professional sports teams from winning. 3 And Out is presented by The BS Show and is typically heard every Wednesday on the Tom Barnard Podcast Network. 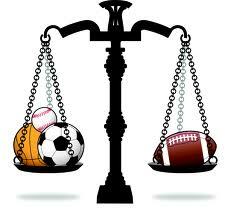 Additional past episodes are archived on the Sports and the Law page of Jeffrey O’Brien Today. ‹ What’s the Deal with the New “Independent Craft Brewer” Seal?